Several members of RMI recently hosted an online learning session to educate participants on the fundamentals of rack assembly, installation, operator training, inspections and maintenance. 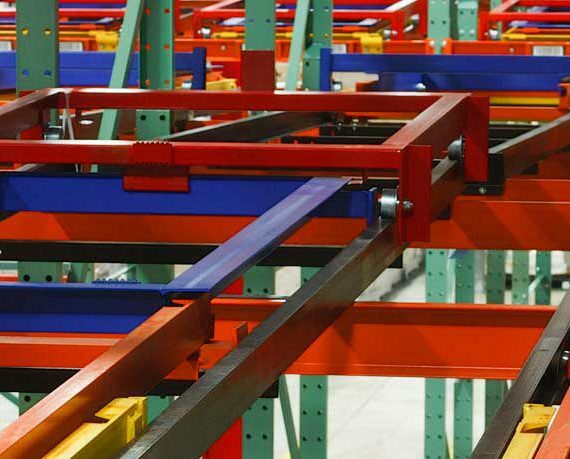 The “Rack Safety 101” webinar—available for free—highlights the best practices in industrial steel storage rack construction and utilization as an overview for viewers of the most critical aspects for consideration. 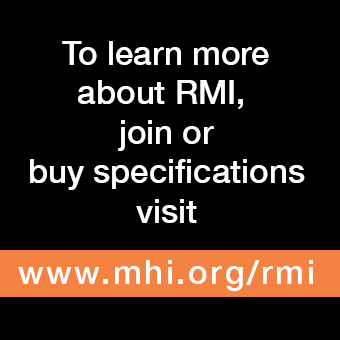 The webinar begins with an explanation of RMI’s ANSI MH16.1-2012: Specification for the Design, Testing and Utilization of Industrial Steel Storage Racks. 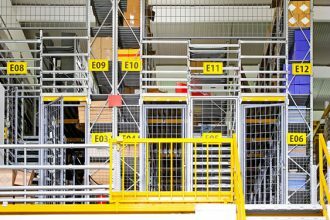 It also reviews the R-Mark Certification program for manufacturers of industrial steel storage racks and of welded wire rack decking. Companies that have earned the R-Mark license have shown—via independent assessment—that the rack frame, beam and decking capacities calculated in the design’s load table were done so in accordance with the RMI/ANSI MH16.1-2012 specification. Additionally, a tour of the multiple factors taken under consideration when calculating a rack design is presented. 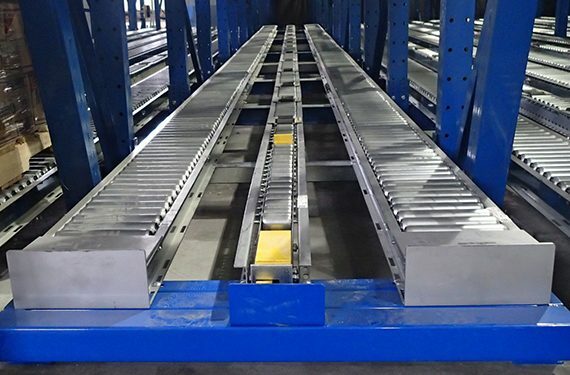 This portion of the webinar touches on details about the type of pallet to be used within the system, the clearances around the loads, the maximum pallet load height, the spacing between racks, the maximum reach height of material handling equipment intended to interface with the racks, and more. 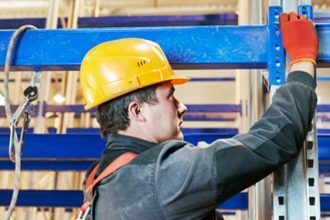 Other design and installation points include warehouse fire sprinkler systems, building codes, permitting processes, and seismic design considerations. Operator training is another key section of the webinar. 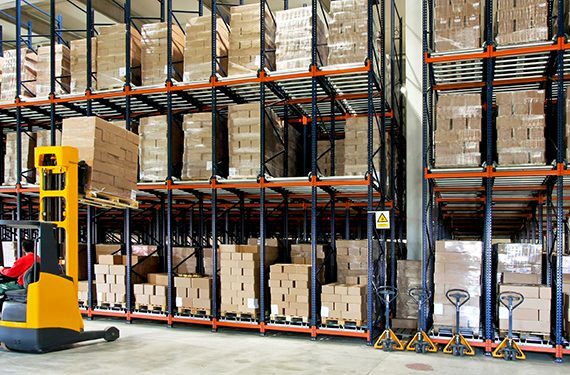 The presentation notes that all associates working around the racking and utilizing material handling equipment—such as forklifts—that interfaces with the racking must be trained on proper and safe use of the vehicles. Those working from order pickers at elevated heights must be trained in fall protection safety. Further, a list of the types of documentation and compliance required by the Occupational Safety and Health Administration (OSHA) is also presented. 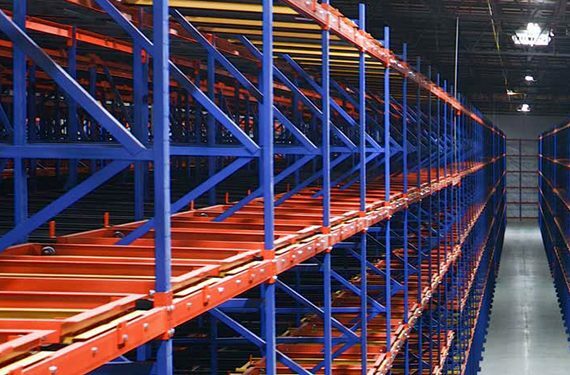 To ensure that a racking system continues to function as it did on the day of installation, routine inspections of a number of areas throughout the structure are recommended—because a damaged rack, regardless of the degree of damage, will have reduced capacity. If damaged rack is not immediately unloaded and taken out of commission until it’s properly repaired, the risk of a collapse is significantly increased. Additional details are included in RMI’s Guideline for the Assessment and Repair or Replacement of Damaged Rack. Finally, the webinar offers guidelines for facilities considering changing the configuration of their existing rack. Highlights include why to avoid mixing different brands of components, the importance of testing and documenting a new configuration, and why it’s critical that a qualified rack engineer is involved in the process. It closes with a 20-minute question-and-answer session taken from queries submitted by the webinar’s original participants. Interested in learning more? 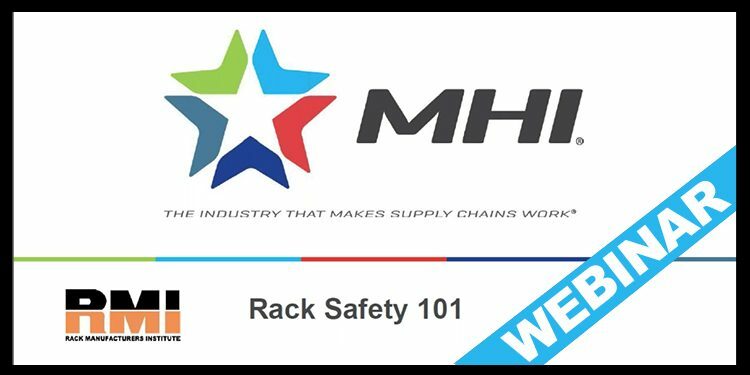 Watch the full Rack Safety 101 webinar, here.